Kethy, age 15, is full of courage. She lives in the town of Guacamayal in Colombia where poverty is endemic and many families, hers included, struggle to make ends meet. Not only has Kethy had to stay hopeful when opportunity is scarce but for a number of years she has battled with medical problems and is unable to walk. Kethy has undergone many tests and medical procedures to try and find the cause of her difficulties, yet she has always had a sweet demeanour and great patience with it all. The doctors now believe that her difficulties are due to Multiple Sclerosis. With her sponsors’ support, Stand by Me have been able to cover all of Kethy’s medical costs and also renovate her family’s home so that it is wheelchair friendly and comfortable for Kethy’s needs. Although Kethy has found it difficult to attend school, we help her with her education and provide her with shoes and other resources. 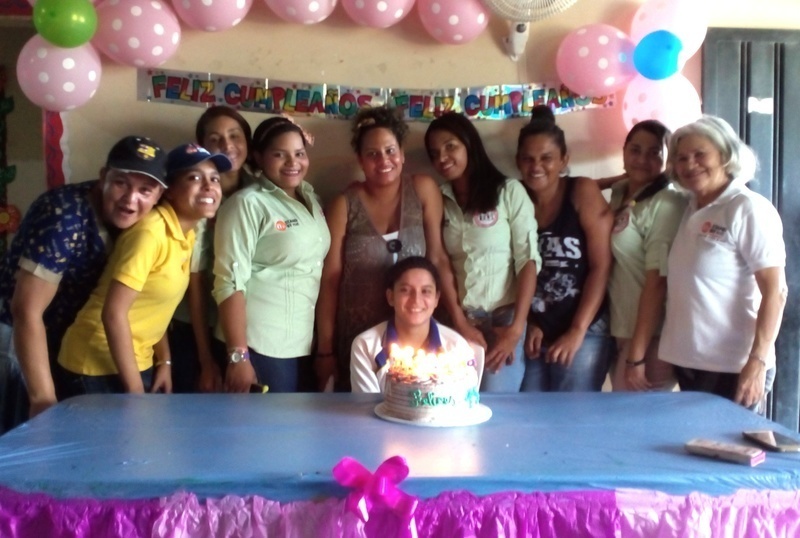 Kethy recently turned 15 and our Stand by Me team in Colombia wanted to make this birthday special for her. Kethy came along to our care centre and we presented her with a birthday cake with the words “Happy 15th”. She received a birthday card and the gift of a MP3 player with a selection of music that the staff picked for her. This thoughtful gift will give Kethy joy during the times when she can’t make it to school to see her friends and is feeling a little lonely at home. It was great to see Kethy smile and happy with her gift. No matter what difficulties our children like Kethy have been through, we want them to always know they are loved and precious. "Their future will be full of hope"
Ciang, Headteacher of the Stand by Me Lois School in Kalaymyo, was going about her morning chores at her home when, at around 8am, she had a visitor appear with three small children. We are planning a teacher training visit to Burma in late October/November. Our schools in Burma are seeking training in pre-school education, foundation, key stage 1 and key stage 2. Read the article to find out more.